After many, many years of working nights I am back working days. 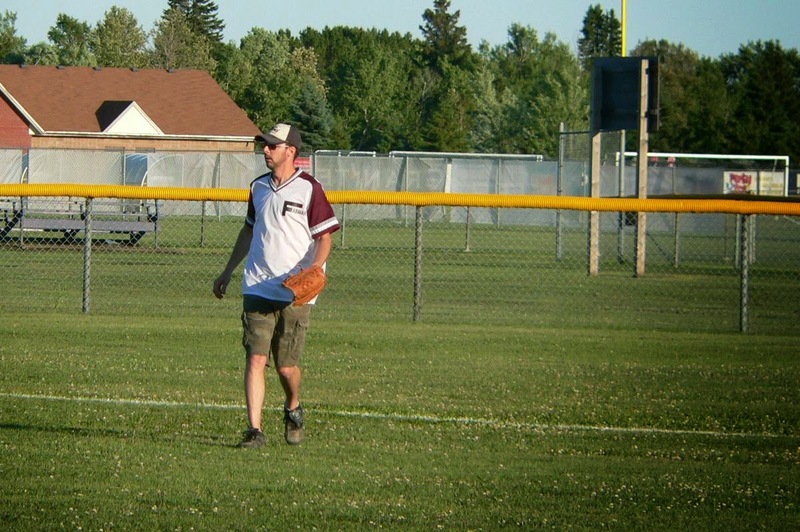 Joined a Slo-pitch team back in my old league : Thunder Bay 5 & 5 Fun Slo-Pitch League. Small independent (one of the few that wasn't absorbed by the Molson or Coors Light leagues years ago) non-competitive league. and infielders must stay on the infield dirt until the ball is hit. 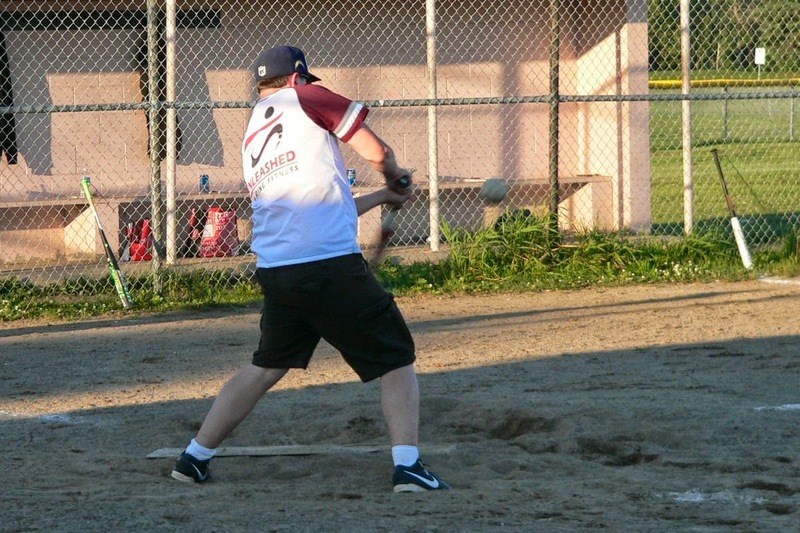 Slo-pitch is of the lob style of pitching - under handed and the arc of the ball must go over the batters head (or is it 6 ft.? I need a recent copy of the rules) and is unlimited (can go as high as you want). Ball is a regular softball (think league is using grey dot this year). All games are 3 balls and 2 strikes; all foul balls are strikes and if the ball hits the plate or the mat behind it it's a strike. There is also an orange safety base on first. Runner goes over orange - first baseman uses white; to avoid collisions at first. There is also no lead offs, stealing, or sliding. Regular season games are 7 innings (so league can get 2 games/day in all season before it is dark - league only has the one diamond). Tournament games are 9 innings. 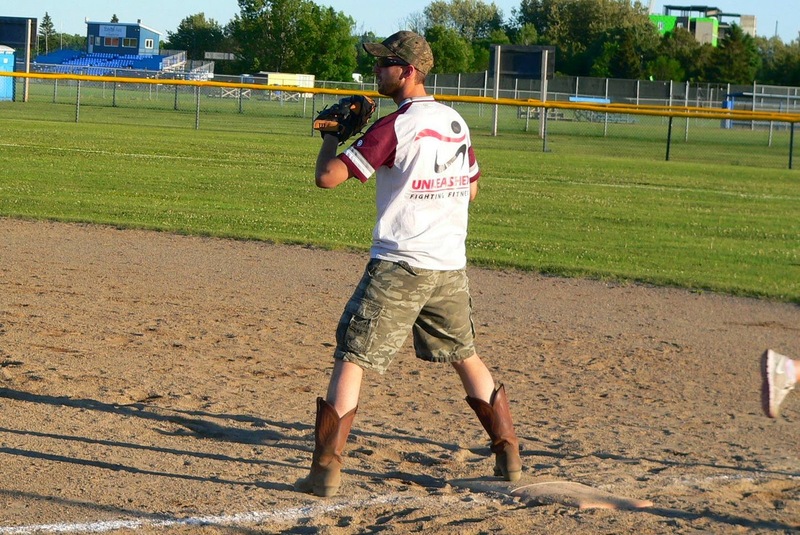 Enough on Slo-pitch - on to the jerseys. I joined the team late and they only ordered so many jersey to start with so I decided to make my own. I had acquired a grey maroon striped grey baseball jersey a while back with this logo on it (turned sideways). Blue lines are just showing what I am did to convert it into a U f f crest instead (main sponsor for the team I'm on this year is Unleashed Fighting Fitness). 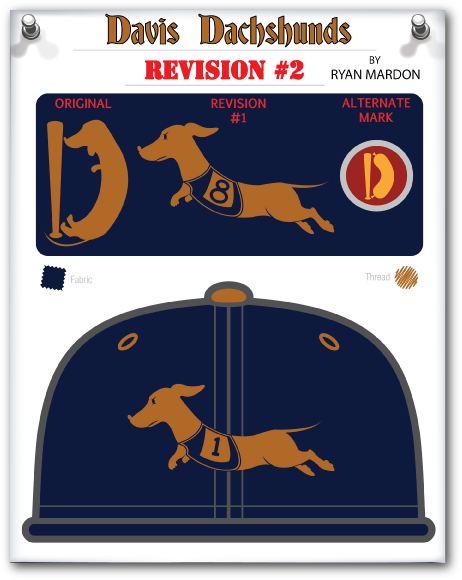 Part of the reason I did this is to save what burgundy twill I have for the team name on back and the main logo. Here's how it looks on the front: If the jersey looks familiar, it's because it's the same jersey I got off Ebay for one of my earlier Ryberto's jerseys (but with a different number on it). Was originally going to put the vest on the dog but looked to be a bit much with the big #1 already on the back of the jersey.